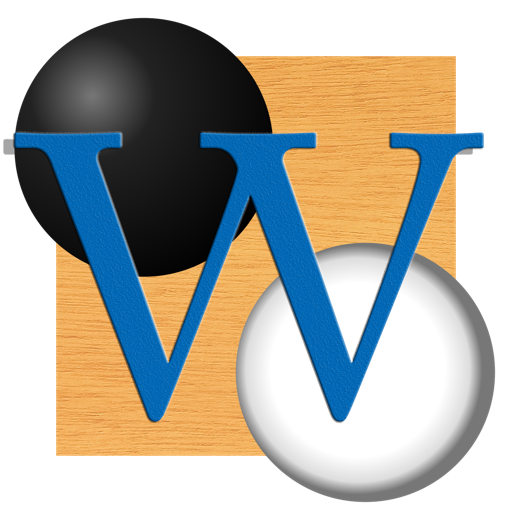 Wing Go Client is a Go game application which works with free Go server named WING (World-wide InterNet Gokaisho). 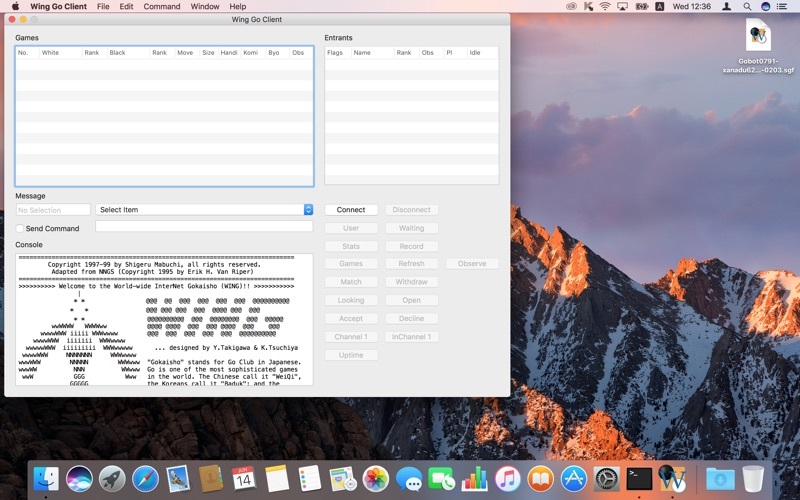 You have to connect with WING to use full functionality of this application. 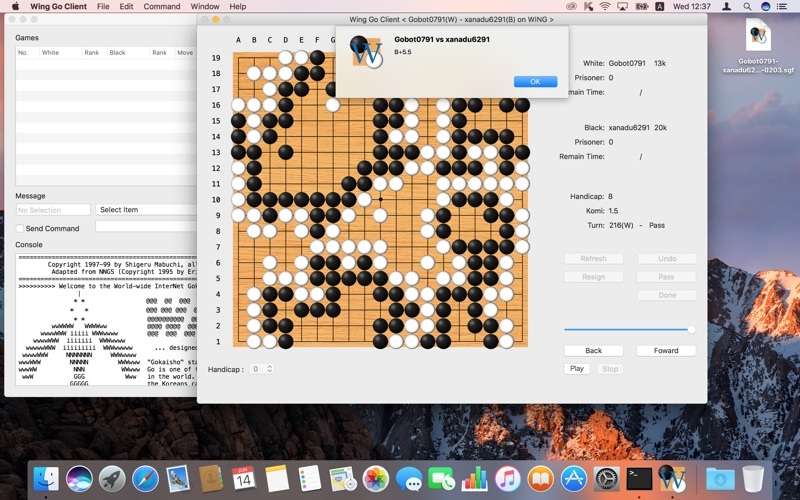 With this application, you can peep, observe, or play go game on WING. In addtion, you can open and playback SGF(Smart Go Format) Document. Respond to macOS 10.14 Mojave Dark mode appearance. 1.Fixed significant bug of can not play requested game.